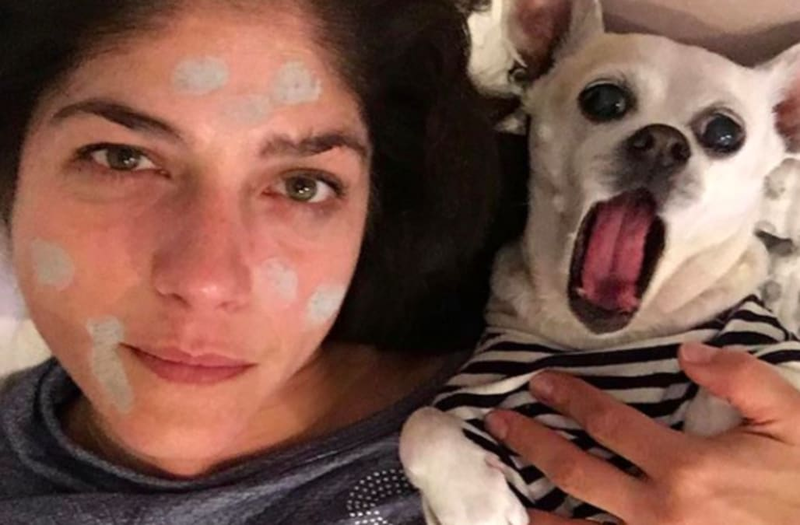 Selma Blair is mourning the loss of her dog, Ducky. The 45-year-old actress took to Instagram on Thursday, telling fans that her furry friend died following a "terrible accident." "💔Please say prayers for Ducky," Blair's first post read, which featured the rescue pooch adorably snuggled up in bed with her 6-year-old son, Arthur. "She had a terrible accident this evening. The vet recommended ending her suffering. But when her tail wagged, I couldn't do it." "We are going ahead to try to put her body and organs back together," Blair wrote at the time. "She is our home. We ask for this miracle. Please say a word. Arthur's heart is broken. 🐾💔"
A few hours later, however, Blair revealed the heartbreaking news. "Run with the angels. We miss you so much. So much, sweet girl," Blair shared. "Please send us our next dog. With the spirit of you and wink. Our hearts are broken." Selma Blair at the 'Carousel of Hope 2000' gala to benefit the Barbara Davis Center for Childhood Diabetes at the Beverly Hilton Hotel in Los Angeles, Ca. 10/28/00. Photo by Kevin Winter/Getty Images. Selma Blair arrives at Marquee Nightclub and Dayclub Grand Opening on April 9, 2011 in Las Vegas, Nevada.